When I see a publishing contract with a grant to the publisher of all forms of eBooks for the duration of the work’s copyright, I see the potential for a disappointed author with a less than fully exploited work. This leaves the author with two problems. First, there is no one set of definitions for the various forms eBooks or electronic publishing might take; every publisher is free to define these terms as they please. 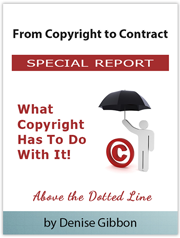 Years after signing the contract, this can lead to confusion, arguments and lawsuits as to what rights the publisher intended to exploit versus those the author intended to keep. Second, anyone associated with the publishing business for any length of time soon realizes that publishers have a big appetite for rights to your work but no real hunger for the ongoing exploitation of the rights they control. Years ago, when a copyright term lasted for twenty-eight years, this might not have been onerous. Now, however, a publisher’s control can extend for decades after an author’s demise and seriously limit the opportunity to re-publish an older work in a new form of eBook publishing. Be aware that whether you, an attorney or your literary agent negotiates your contract, three questions must be asked of the publisher when it comes to publishing eBooks. First, how does the publisher define each eBook form in which they want to reserve the right to publish? Request a list of the forms the publisher wants to exploit and a specific definition for each form. Does the publisher only want the right to publish the book in a verbatim eBook form? The verbatim form usually amounts to an electronic version of your work that replicates a print version. Though verbatim rights are now commonly granted to the publisher, it’s still wise to confirm that you and the publisher agree on this simple definition. Verbatim aside, which of the other eBook forms requested involve the addition of music, voice, audio clips, video, animation, hyperlinks, photographs, illustrations or graphics? Does the publisher want the right to alter the text so that the work can be used for interactive purposes? Do you retain the right to approve the final eBook version of your work or are you only a consultant? Once you have this information, be sure that the acceptable eBook forms and their definitions are in the contract as well as your role, if any, in producing the final product. Attempt to delete or limit any vaguely defined e-grants extending to all known and unknown reading technologies. Second, does the publisher have any experience publishing in the eBook forms that are acceptable to you? Do your research. If the publisher wants to publish your work in some form of multimedia, for example, you need to know whether they publish other works in that form, what the results look and sound like, and what efforts they made to market the work in that form. Perhaps the publisher has exploited only children’s books in a multimedia format. If you write mysteries, it might not make sense to grant the publisher the right to exploit your work in a multimedia format. At a later date, if the publisher starts to exploit mysteries for multimedia, you can always request to contract for that exploitation. Third, is the publisher willing to exploit your eBook rights within a certain period of time? Come to an opinion as to whether the publisher is committed to producing your work in the forms they want you to grant. If the publisher has never published an interactive eBook, for example, and you’re not convinced they will in the foreseeable future, give the publisher no more than three to five years to exploit your work in that form. If the publisher fails to do so within the allowed time, then the right to publish your work in that form should automatically revert to you. Contract language matters. Watch out for provisions that do not clearly define the exact eBook form being requested. Publishers are fully aware that new reading technologies are constantly being developed, but that does not mean they’re always ready to exploit them. If your publisher fails to exploit electronic publication for your work, be sure you have the contractual right to turn that failure into your opportunity.